The third and final workshop was held at Dartington Hall on the 19th and 20th September 2011. Dartington Hall has a long history of supporting the arts, social justice and sustainability initiatives. The Dartington Hall Trust oversee a programme of social enterprise, arts and other activities that support their charitable aims. You can learn more about Dartington Hall here. This workshop bought together two key agendas for contemporary society: the challenges of building a sustainable future and the challenge of building/maintaining resilient communities that offer significant advantages in terms of the improved well-being, health and life chances. Craft politics and practices that have a long tradition are increasingly being allied to contemporary sustainability and well-being agendas. For example we see the 19th century concerns around mass-production and the celebration of the hand-made re-articulated in the ‘slow’ movement and in transition economies; alongside this we see an increasing recognition of communal hand-work and the benefits of the conviviality that such practices bring more widely recognized and valued. This workshop will explore the relevance of craft culture in developing environmentally, economically and socially sustainable practices. Recent research suggests that there are significant and as yet not fully articulated links between craft practices and the requirements of sustainable development. 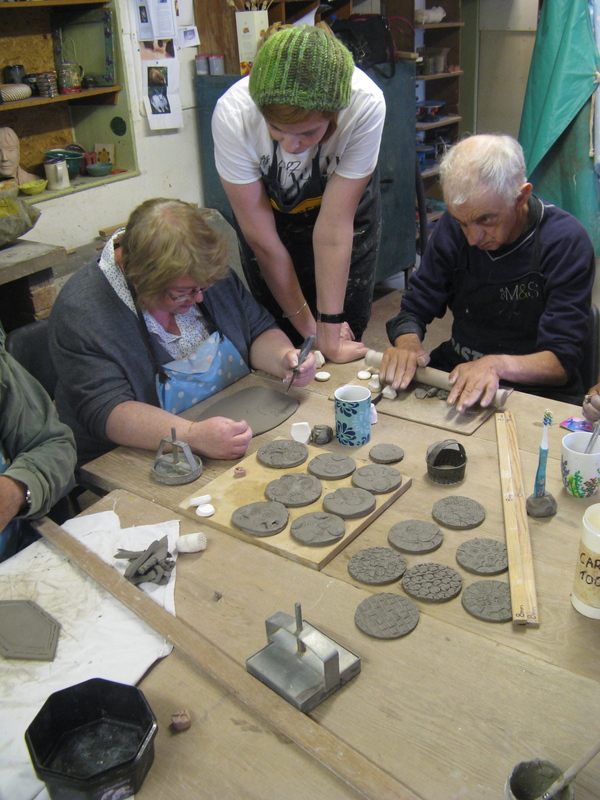 Specifically within local community development projects such as Transition Towns, crafts practitioners are delivering hand/making skills workshops that enable greater self sufficiency, while other practitioners take an active ethical stance in the production of their own work, focusing their attention and their sensitivities on low impact materials, production methods and the longevity of their products. In this context, the autonomous nature of craft practice combined with its emphasis on material culture and relationship to communities of practice presents a useful model of networked self sufficiency connected to the environment that is worth exploring. Alongside a renewed environmental consciousness, craft practitioners are developing roles for themselves outside of established craft contexts, applying their skills in a wide variety of projects involving health and well being and community engagement. Starting from the notion that a sustainable future is one that is attentive to the health and well-being of the communities we would like to take stock of the ways in which craft practice currently engages with health and well-being agendas. We would like to consider the diverse ways in which contemporary craft practice is enrolled in more formal ways to enhance the well-being and health of communities – whether in primary care health practice initiatives or as part of creative arts health programmes. Alongside this we wish to ensure that more ‘every-day’ crafting is not ignored given the recognized ‘unintended’ benefits that accrues from taking part in crafting activities. We will address the challenges that face craft in contributing to community well-being, addressing the sometimes uncomfortable enrolment of craft as a ‘tool’ for community projects, set against the space for innovation and development that community projects might bring. The workshop comprised a series of presentations and discussions sessions which discussed the value of such craft practices, processes and sensibilities within sustainable community development. You can read about the speakers and listen to audio of their presentations for free on the next pages.